KARSINO10 is simplicity of line, it is clarity of design well thought out, it is symmetry and grit, it’s always on time, won’t tell you lies, doesn’t snore and always has your back. But seriously, if you are looking for an EDC knife to add to your collection, KARSINO10 fits the job. With, the ease of pocket deployment and the comfort of Krudo’s Thumb Wedge design KARSINO10 will be a knife to carry for years to come. It is classic, clean and not afraid to get dirty. 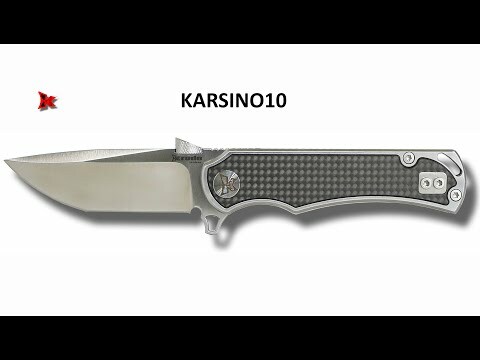 Add KARSINO10 to your knife line-up today and get to know why KRUDO Knives designs are simply the solid best. A beautiful, solid and balanced piece of precision engineering ! This blade feels AWESOME in your grip. The details are excellent and the knife is as solid as any folder I have ever held. My new FAVORITE knife !